The Tarah look quite similar to the X4, and by extension, most Jaybird headsets. The main difference seems to be the battery, which is rated for six hours of playback versus the X4's purported eight. They've got a new earpiece design, too, which merges the silicone tips and fins into single pieces and prevents looping the cable up over your ears. One thing that hasn't changed: the Tarah are still IPX7 certified, which means they won't short out if you like jogging in the rain. As for color selection, you can choose between Black/Flash, Solstice Blue/Glacier, and Nimbus Gray/Jade. The color combos are a bit more lively than those the X4 are offered in, particularly the Nimbus Gray model. 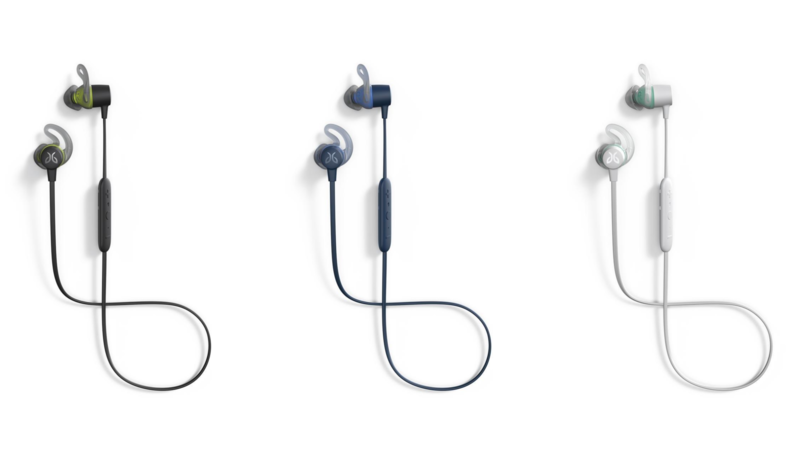 Solstice Blue will only be available through Best Buy and Jaybird's website. Releasing a budget offering that's just $30 less than your flagship product seems like a curious move, but it's possible the Tarah will strike just the right balance of value to performance. The Tarah are available for pre-order now. PARK CITY, Utah--(BUSINESS WIRE)--Jaybird, a leader in sport headphones for runners, announced today Jaybird Tarah Wireless Sport Headphones, the earbud choice for those looking to cut the cord. These waterproof and sweatproof Bluetooth headphones deliver a secure, comfortable fit with uncompromised sound and six hours of play time. Tarah opens the door to the freedom of wireless sound while offering a lightweight, low profile design ideal for daily training and fitness performance. Tarah allows you to enjoy your music without distractions from your headphones. The interchangeable, ultra-soft silicone ear gels mean you can customize for the perfect secure and comfortable fit. The Speed Cinch cord management system allows you to adjust the length of the cable on the fly for the perfect fit. The internal rechargeable battery offers six hours of play time per charge, so you’ll always have plenty of power for a full session. In addition, a quick 10 minute charge gives you one hour of play time, so you'll have no excuse not to hit the trail or the gym. The IPX7 waterproof rating (waterproof down to one meter for up to 30 minutes) and double hydrophobic, sweat-proof nano coating mean you’re prepared to take on any weather conditions as you train. It's also the perfect companion for your video workout programs, whether on a stationary bike or a treadmill. Manage calls, and control and listen to your music with the push of a button without interrupting your run or training. Tarah is also compatible with Siri and Google Assistant and is "Made for Google," ensuring compatibility with Google devices. With the Jaybird app, you can customize Jaybird’s premium sound so you can hear your music, your way - pump up the bass, crank the treble or find that perfect balance. The app even allows you to connect with the Jaybird community making it easy to listen to and discover Spotify® playlists to power you through your training session.